Regular members pay $22. Honorary Members pay nothing. 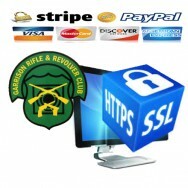 The completed order receipt states that you can use it to buy a 2019 Associated Gun Clubs range badge and includes a 2019 Garrison Rifle & Revolver club membership card. Honorary members are members over 70 years old with at least 10 consecutive years of regular membership (No PayPal or credit card needed for honorary members), Questions? 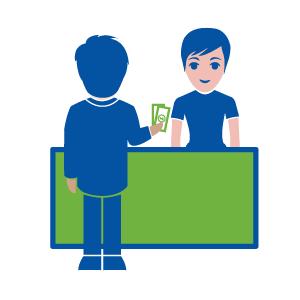 See our online renewal FAQ. Mail a SASE (Self Addressed Stamped Envelope) to 3618 Granite Rd, Woodstock, MD 21163 and include a check made out to Garrison Rifle & Revolver Club, Inc. Your membership card will be mailed to your home address in the SASE that you provide. Regular members pay $20. Honorary members are free. Please include your last range badge # when you send your Self Addressed Stamped Envelope. More Questions? 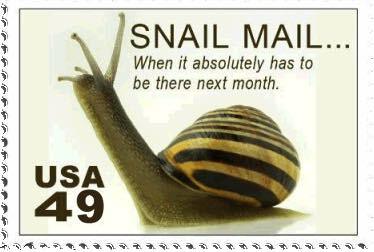 See our mail SASE FAQ. You pay for and pick up your membership card at the meeting, get to shoot in a club event, hear what the hot club and AGC topics are of the month and you get fed too. Regular members pay $20. Honorary members are free. 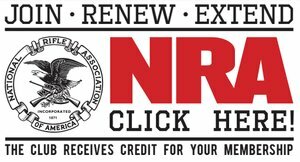 Please complete and bring this renewal form with you to the meeting to save time. Check preferred. Credit cards are not accepted. Meetings are held the second Tuesday of each month except in February in the Memorial Hall building located on the Associated Gun Clubs Trap Range. For February the meeting is held on the third Tuesday.